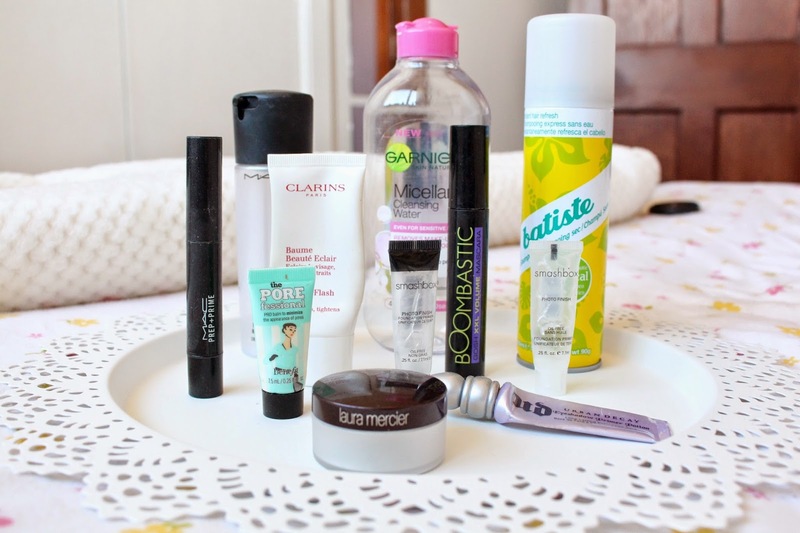 Empties // Products I’ve Used Up! Hello everyone! I hope you’ve all had a great week so far! Today I’m sharing some products I’ve used up, I’ll let you know if I think they’re worth it or if I didn’t get along with them so well. I personally love posts like this so I hope you enjoy reading this as much as I’m going to enjoy writing it. 1. MAC Prep + Prime Highlighter in ‘Radient Rose’ – This I used to reach for all the time, its actually a really nice highlighting pen. Loads of brands do these but I especially love this one as its really light weight on the skin and blends in really seamlessly and this shade has a nice pink undertone which matches my pasty skin quite nicely. I have purchased this over and over for a long time now and probably always will. I haven’t reached for it in a little while but I can see my self digging it out quite soon. 2. Benefit Porefessional Primer – I actually really enjoyed using this little sample size, I’ve had a few samples of this but never actually bit the bullet and bought the full size. However, I do feel its the best primer I’ve used for minimising pores and reducing oiliness so I might have to pick it up soon. 3. Laura Mercier Secret Brightening Powder – This is a beautiful, finely milled powder for setting under the eyes and I really enjoyed using it. I’m currently using a translucent powder from MAC for my concealer but I’ll definitely be going back to this as it really does add brightness to the face. 4. MAC Fix + Spray – Holy grail material for me. I literally couldn’t go a day without this stuff. Its so refreshing and takes away any powder look I might have on my face as well as setting my makeup down for the day. 5. Clarins Beauty Flash Balm – This is a brilliant primer, it does exactly what it says: brightens and tightens. Admittedly its not the best for making my makeup last all day but it adds such a nice glow to my skin and really perks it up. 6. Garnier Micellar Cleansing Water – Another holy grail product for me, it makes removing makeup such a breeze and I’ve genuinely lost count of how many bottles of this I’ve bought. I will forever repurchase this! 7. Smashbox Photo Finish Primer – I know a lot of people love this, and I do too but I don’t think I would ever purchase the full size. I remember buying the full size of the light version and I kind of felt the same about it too. It feels great when its applied but genuinely I don’t think it makes a difference to how my makeup looks or lasts. 8. Gosh Boombastic Mascara – This is like the drugstore alternative to Benefit They’re Real. I don’t like the Benefit offering as it hurts my eyes, dries out really fast and I can’t get it off. This on the other hand gives amazing looking lashes but without all of the struggle. Its amazing! 9. Urban Decay Primer Potion – This is just one of those things that I will always use. I have mega oily eyelids and this keeps all of the creasing at bay, its an everyday must and I never feel sad when I have to buy a new tube as it literally lasts me forever. A little goes a long way. 10. Batiste Dry Shampoo – Lastly, another product I will always love. It really works well for me and I haven’t tried another dry shampoo that I love as much. I don’t see myself changing to use anything else anytime soon. Next Post Current Workout Playlist + Gym Essentials!